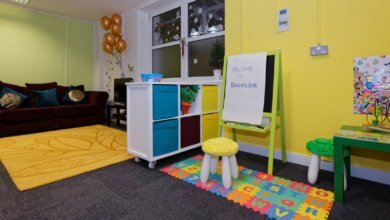 We completed a hub space, a family friendly space, for Hibiscus Initiatives and their clients in 2016, for the use of the women and their children. We helped construct: a new church, and housing for the local community. 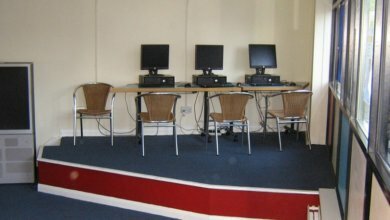 We are also worked with the centre to maintain their existing facilities. 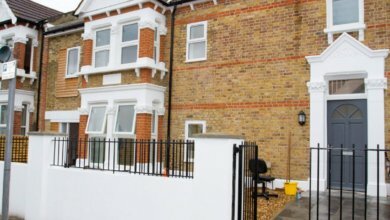 We partnered with Housing for Women to carry out renovation works to a dilapidated Victorian house. This project was completed in August and is now being used to provide a home for women in need. 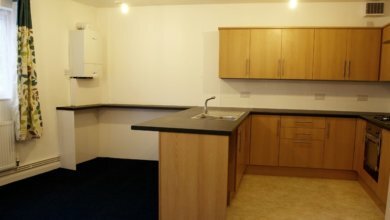 The property has been refurbished to a standard that gives the hostel the feel of a hotel, rather than a hostel, and this fits with Veterans’ Aid philosophy of providing their clients with the very best. This is important as it demonstrates the clients have value and worth. This is a contrast to the way in which many homeless people view themselves. The refurbished property is now being used as emergency accommodation by the local authority, for families facing the housing crisis. The playground sits between a nursery and primary school and is very much in use. In 2015 we partnered with MetLife to complete a number of tasks in the playground. The refurbished property is being used as emergency accommodation by the local authority, for families facing a housing crisis. 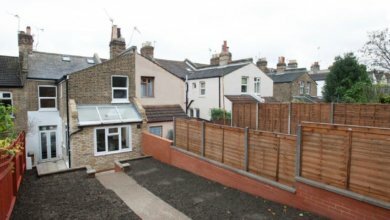 This project involved bringing back a very long term empty property into use as a family home. 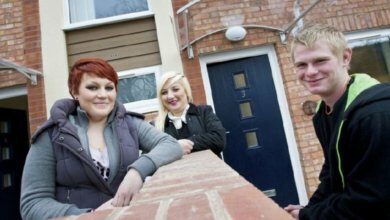 Working with Housing for Women, we have been able to provide stable accommodation for a family in need. 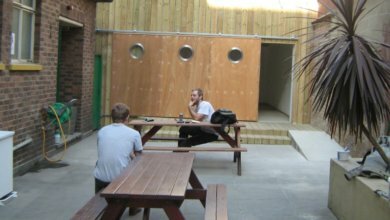 We worked with West London YMCA to establish suitable refurbishment projects which can provide an opportunity for corporate teams to get involved. The contract is due to be determined in April. The two units will be managed by Housing for Women, a well-established housing association who have been providing homes for more than 75 years. They will be managing the property on completion as part of their programme to provide affordable homes for women in housing need. Grant from Southwark Council and the DCLG Community Grant Programme will be used to help with the overall budget for this scheme. This programme aims to deliver 20 units of affordable accommodation across 3 existing sites in Banbury. Discussions are also in place for the provision of on-site training for young people who can apply to become residents of the refurbished flats at Orchard Way, one of the project locations. The experience at Miller Road (see training video) has meant that we will be able to use this knowledge gained in providing a tailored training programme for these future residents. 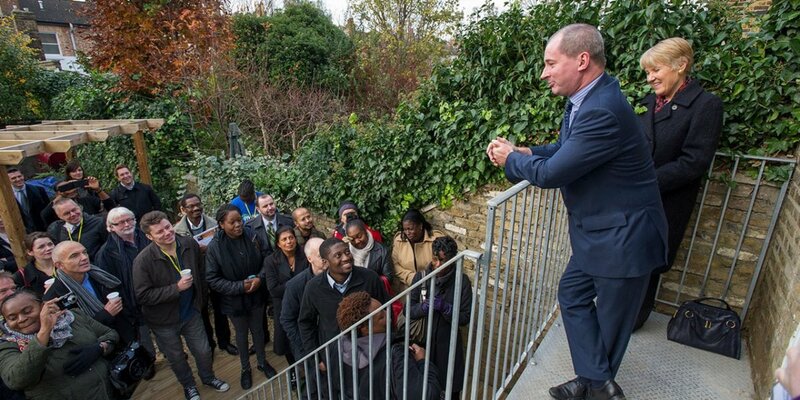 They in turn have the incentive of a reduced rent once they have completed the programme which will assist them in becomin more stable in their future housing and employment. We are excited about this project and the potential for this form of ‘sweat equity’ as it ties in very well with the Habitat ethos. 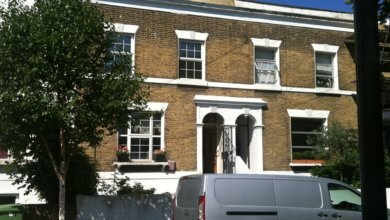 Each property required complete gutting, repair and refurbishment. Work included building a brand new roof, moving internal walls, putting in steels, installing new kitchens, bathrooms, windows, doors, electrics and plumbing (including new gas central heating). 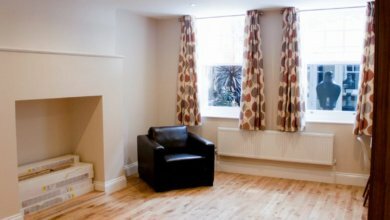 Once the building work was completed, the properties were decorated to a high standard, carpeted throughout and new curtains and blinds put up. Decking was constructed in the two gardens, and all ground surfaces were made safe. 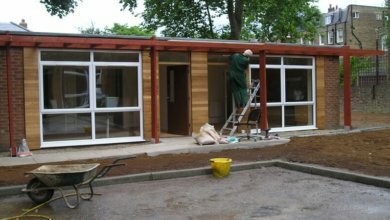 The external walls front and back were repaired and redecorated. 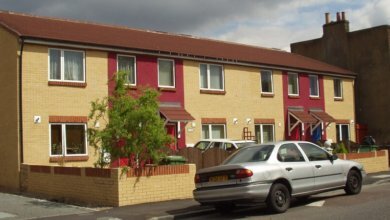 Now complete, Genesis Housing Association, working with the London Borough of Barking and Dagenham Council will be housing three families in desperate need. The new bespoke cabin is better insulated and ensures that the Soup Kitchen reaches out to people successfully throughout the year with a positive welcoming atmosphere. The youth were usually not in education, employment or training (also known as ‘NEETS’). This was an innovative partnership between us (as developer and contractor), Cherwell District Council and Sanctuary Housing Association who have acquired and are managing the units. As a result of this partnership, Cherwell Council won the Local Government Chronicle Award for Innovation in 2012, to recognise their work on providing affordable housing for people in need and creating training opportunities for young people at the same time. The arrangement was that larger corporate teams, often from blue-chip financial companies based in London, would go along for a day’s painting and decorating. We supervise the works, quality of finish and ensure that all the relevant health and safety is adhered to. All the materials and supervision costs are fully covered by donations from the corporate supporters to the project. Wherever possible we tried to involve the hostel residents in the team days to mix together our supporters and beneficiaries. This charitable model for projects has worked particularly well for the YMCA and we continue to identify other opportunities with them where this approach can continue. They offered us a sizable sum for taking 200 volunteers onto a community project. 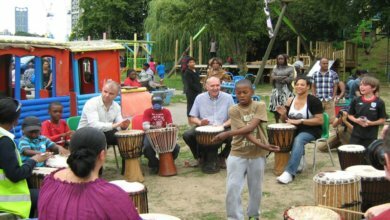 The project was a great success all round, and we marked the opening with a community celebration event where our staff could be seen playing bongo drums and enjoying a hearty barbecue! 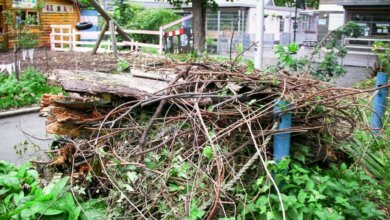 Having been empty for over 10 years, the building was in a considerable state of disrepair and required significant works. At the project outset, the building had no roof and considerable areas were without floors. resemblance to its former self. 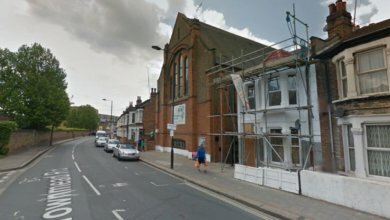 Gone are the crumbling walls and rotting floorboards, to be replaced by two well-appointed flats which are being used as affordable housing for people in need. The external aspect is also much improved, with the removal of the scaffolding and green netting that previously interrupted the small row of shops opposite the green. The difference is remarkable. The charity provides thousands of women with an opportunity to start new lives away from violent and abusive relationships. On average, residents spend six to nine months in temporary accommodation at one of Solace’s seven refuges across London before moving on to more permanent accommodation. We completed a project to redecorate five of these refuges across London. 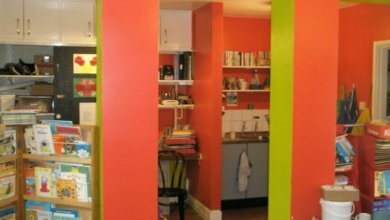 Although the areas in question were usable, re-decoration improved their condition in order to provide a better living environment for the women and their children during a time of crisis in their lives. 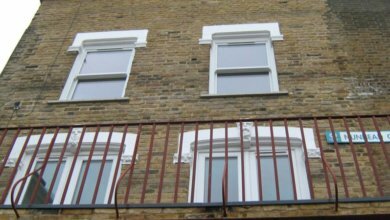 Solace also has a small number of two and three bedrooms flats, which provide longer-term temporary accommodation for the same client group, one of which was redecorated by us. 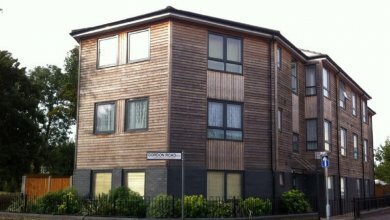 Developed on the site of the former Star of India public house in Peckham, this block of 12 flats was built by us using 1500 volunteer days. The flats were sold on completion to Hexagon Housing Association and New World Housing Association. 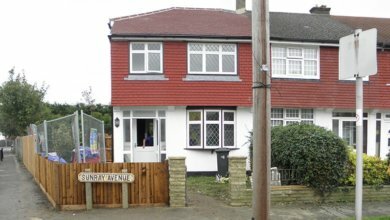 The bungalows are still used as supported move-on accommodation for the young people who are rebuilding their lives whilst staying at the project. 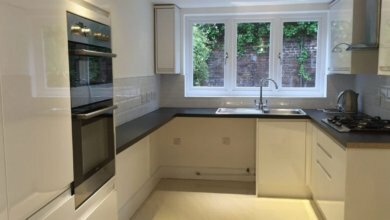 The project was the first one where we partnered another housing charity to provide renovated accommodation by improving their existing resources, and thereby impacting positively the lives of people in immediate housing need. Along with volunteers from the community and our site build team, this helped to build a sense of ownership and community. All of the homes are still occupied and the owners have been paying back their interest free loans to Habitat over the years since. The scheme was appropriate for its time, when land values were much lower than they currently are in London. Having a stable community and low-cost ownership model has benefited these residents and the immediate area. 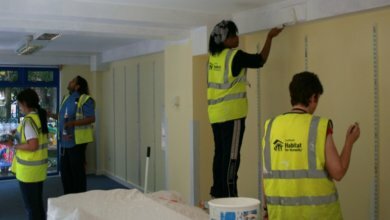 Habitat for Humanity’s London office is located alongside the development enabling a strong bond to exists between the residents and the charity’s staff team.